I've already posted details about our visit to the Heritage Motor Museum Gaydon from last year. At the time I expected to go back again that same year, but never got around to it. It was by my children's request that we visited again during the Easter holiday this year. We still didn't get to go on the children's roadway. I'm not sure whether it was open or not, but even if it was it was too cold so we stayed indoors. Rather than repeat my post about my previous visit (Heritage Motor Museum during 2012) I'd suggest you read my earlier post and here are some of the new highlights (I don't know if these are permanent features or temporary displays). 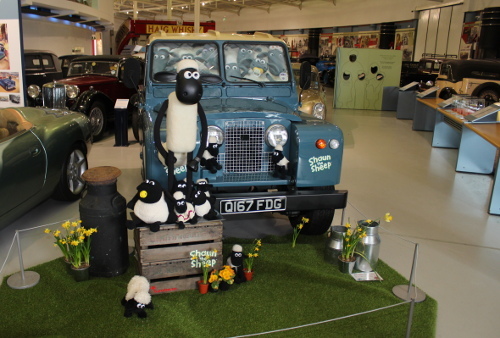 Shaun the Sheep's very own landrover was at the museum. Complete with authentic bumper stickers and models. The Landrover was also used in a special Easter treasure trail: work out the clues; find the sheep and win a prize (Creme egg). The final answer was the number plate from the Shaun the sheep landrover. The treasure trail was good a bit difficult at times, but between us and after lots of walking around we eventually found all the answers. 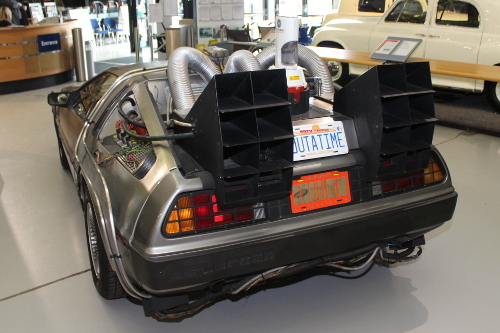 One of my favourites is the DeLorean from Back to the Future 2. Unfortunately the flux-capacitor (which is what makes time travel possible) was not visible due to the treasure trail clue, but you could see the rest of the car, including the "Mr Fusion" on the back. 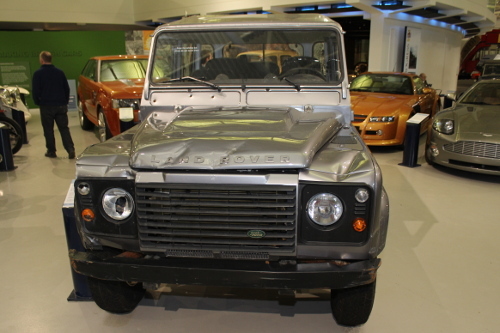 The other new "famous" car is the Land rover from Skyfall. It looks like it's seen better days with some bumps and scratches all over it, but I guess that's what happens when you let a secret agent near one.